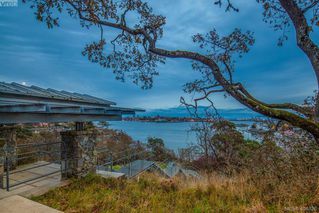 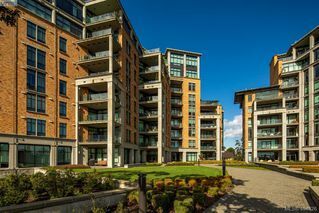 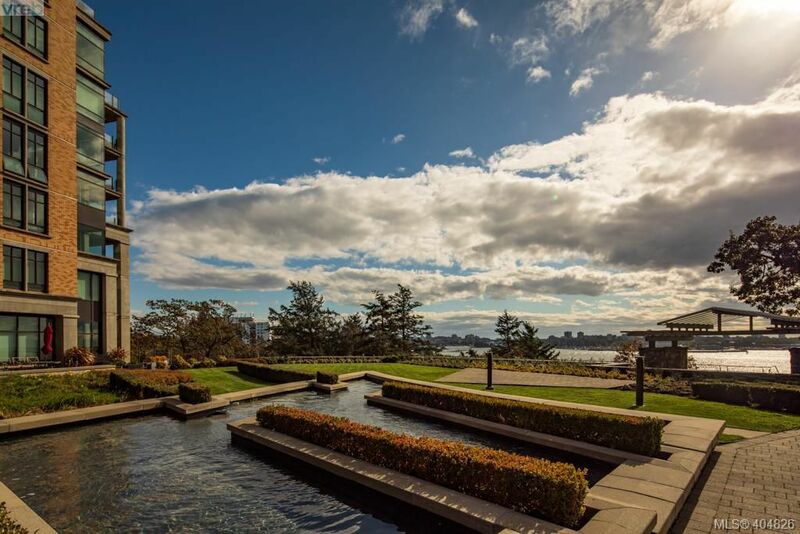 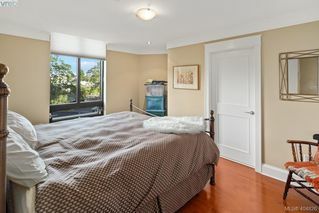 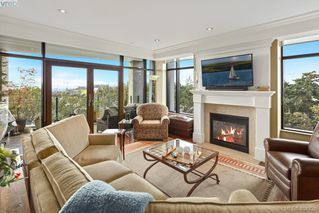 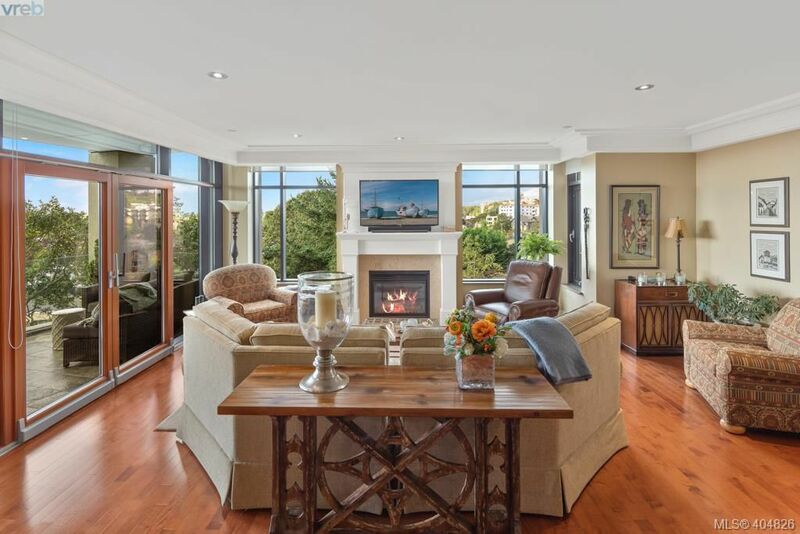 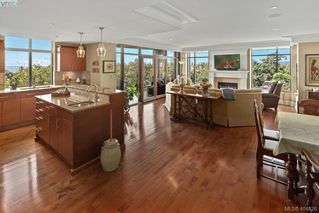 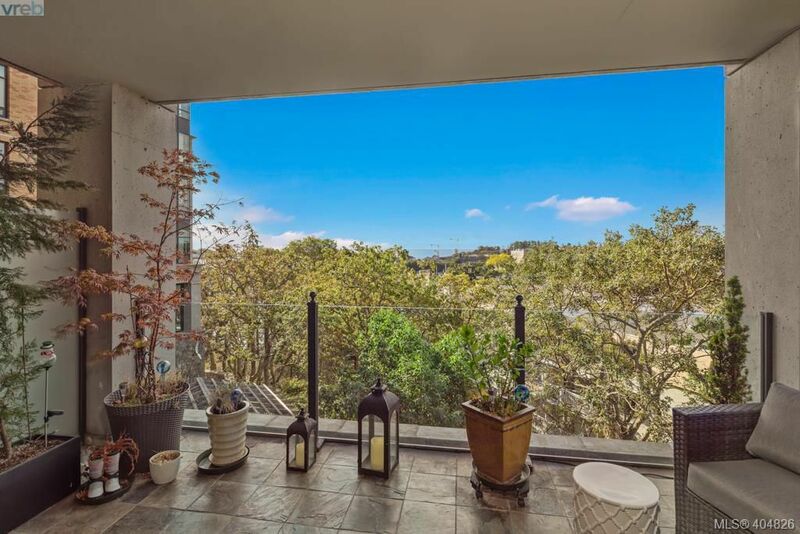 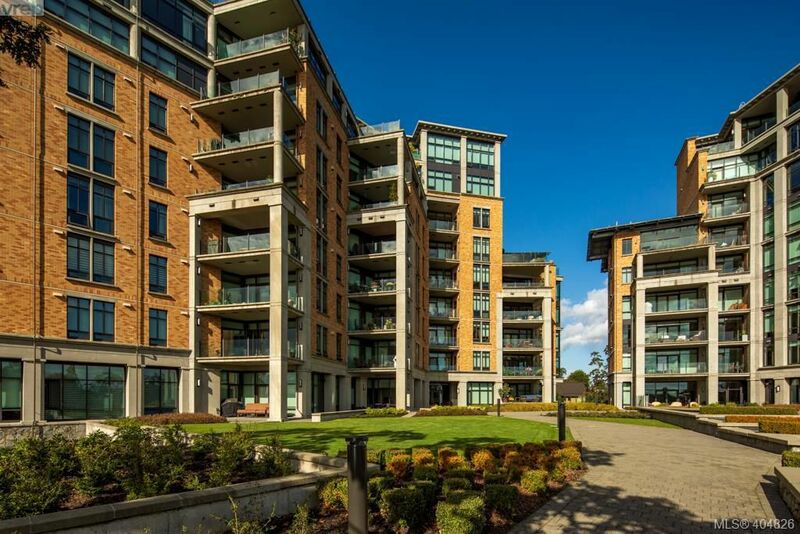 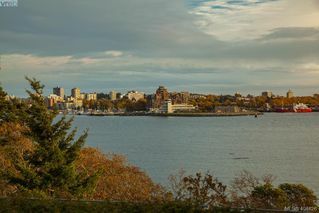 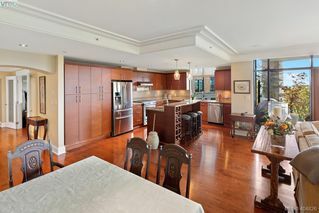 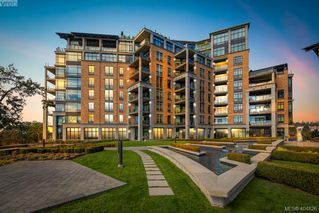 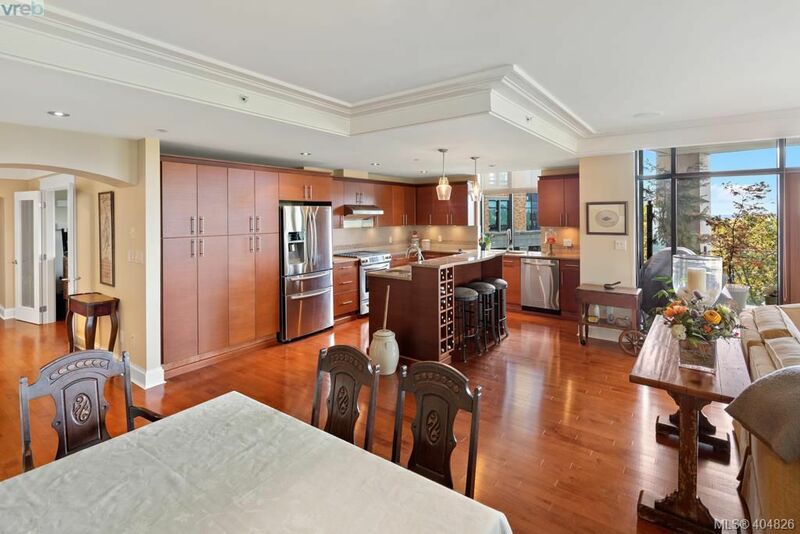 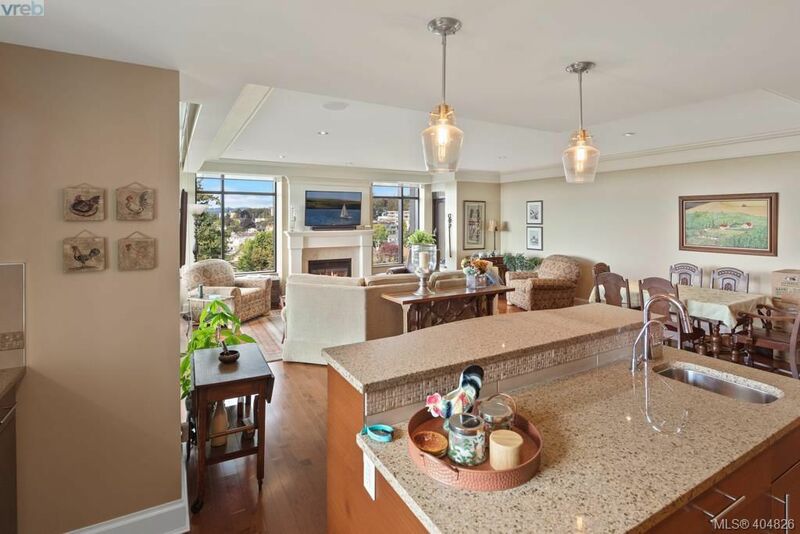 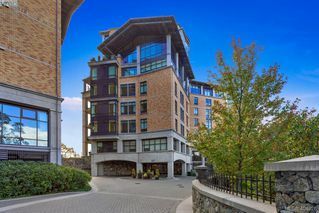 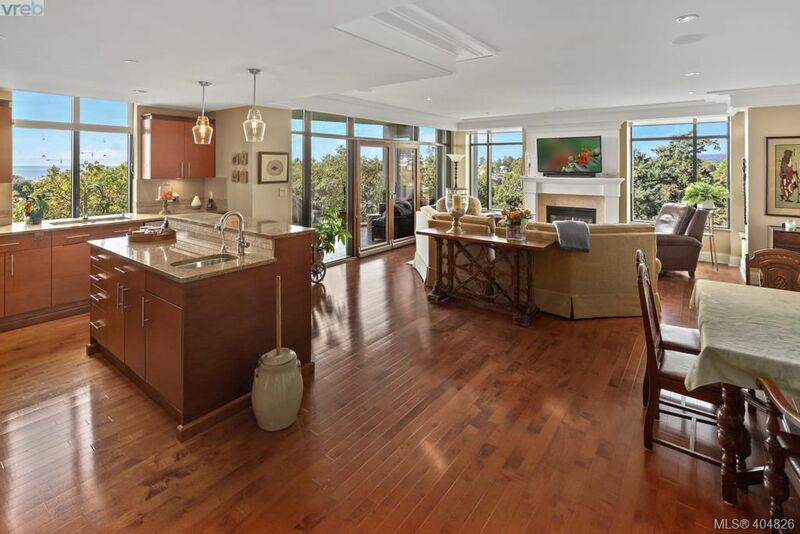 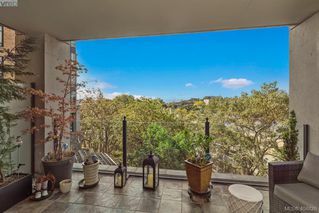 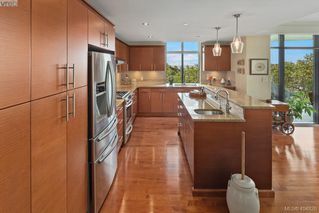 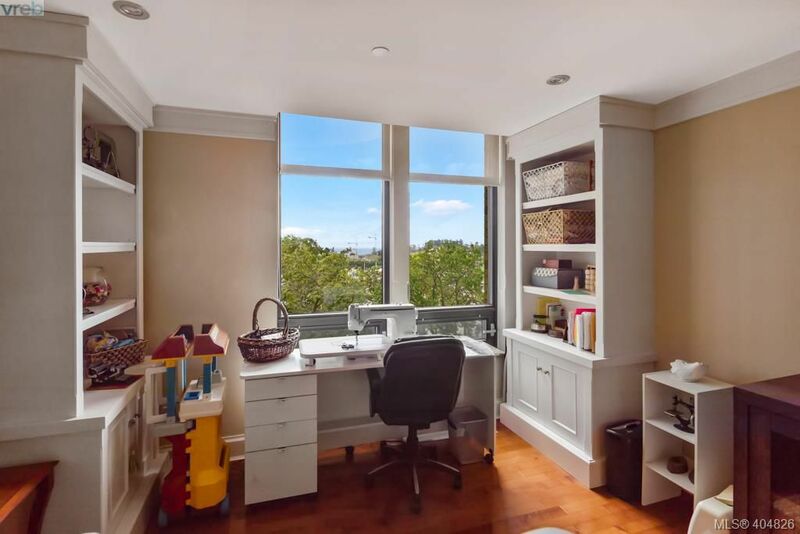 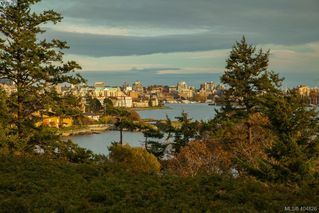 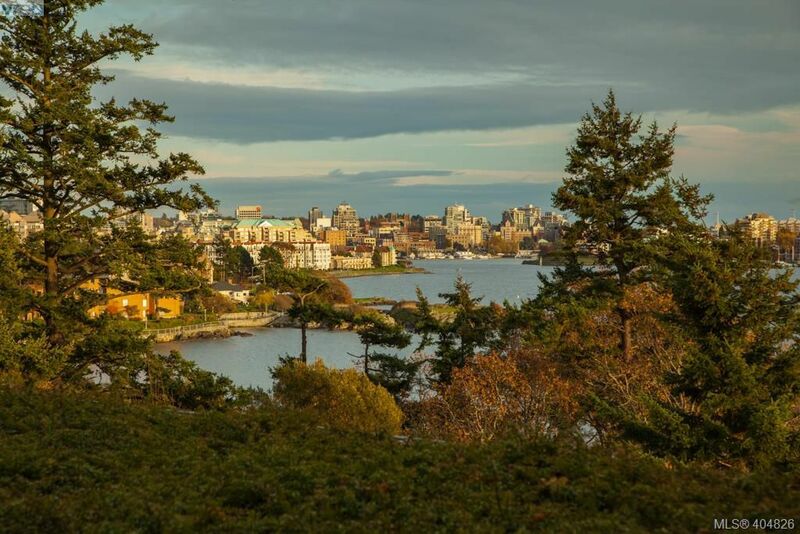 Picturesque Ocean, mountain and sunset views are just the start of the exceptional qualities this stunning unit offers from one of Victoria’s most desirable buildings Swallows Landing offering outstanding quality and value. 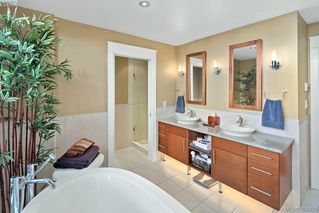 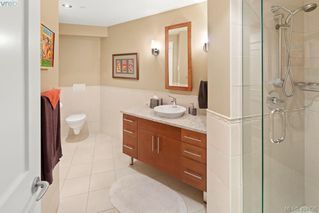 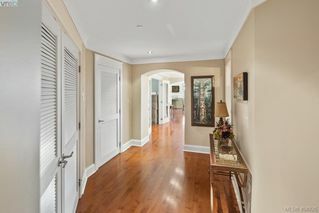 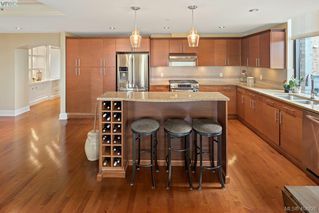 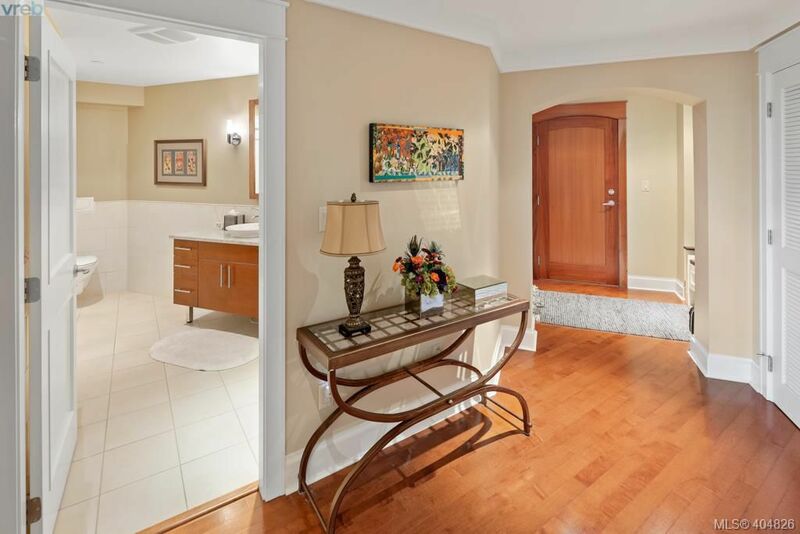 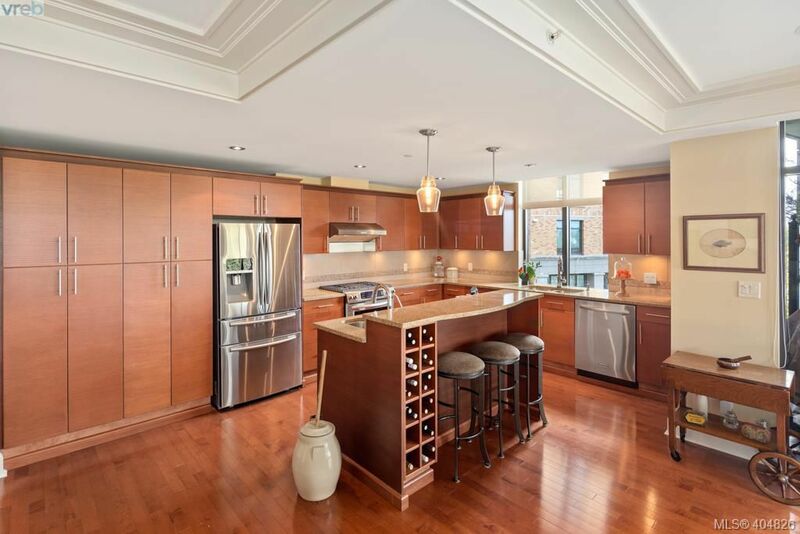 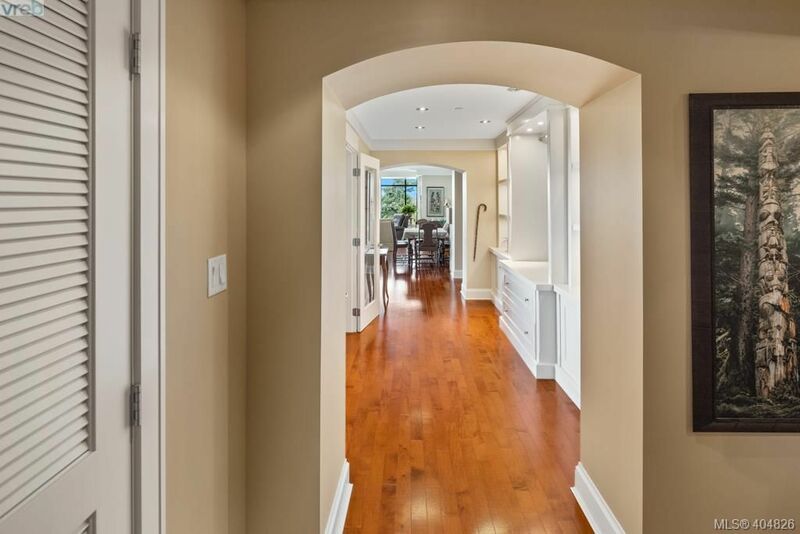 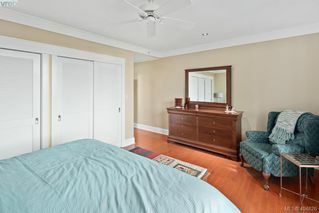 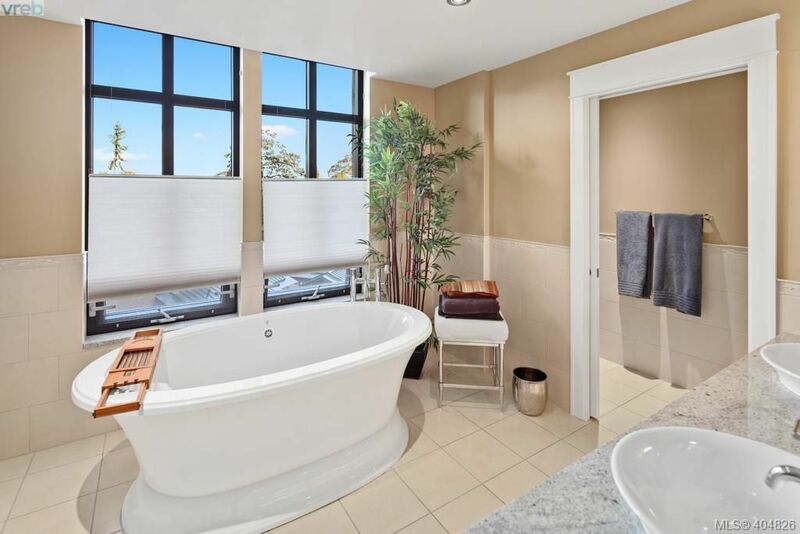 With unparalleled finishing’s this two bedroom plus den, two bathroom unit will not disappoint Including in-floor heating, engineered hardwood, built-in cabinets, wool carpets, stainless steel appliances, granite countertops, limestone fireplace, and built-in speakers. 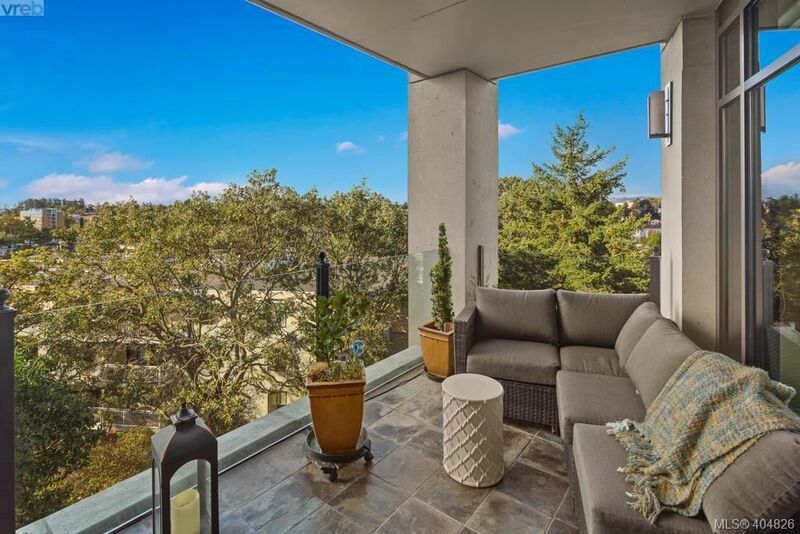 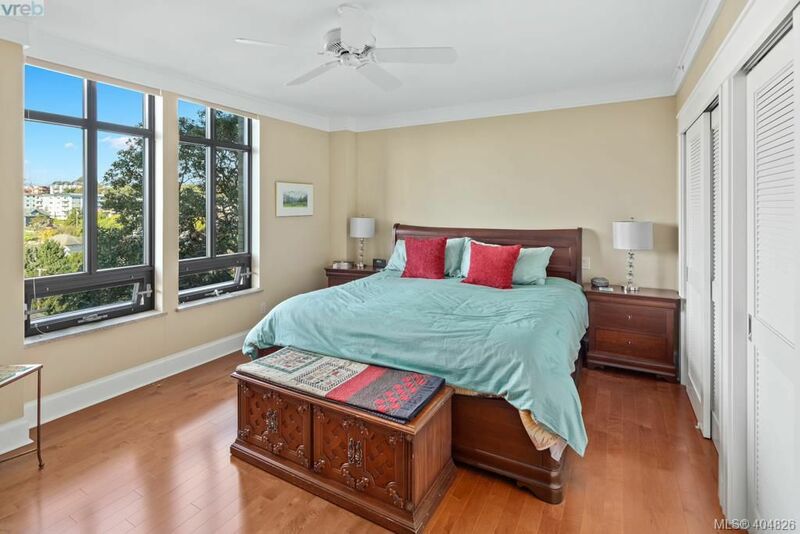 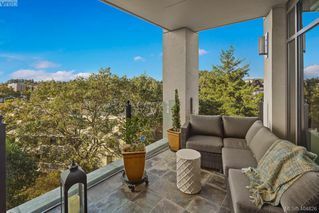 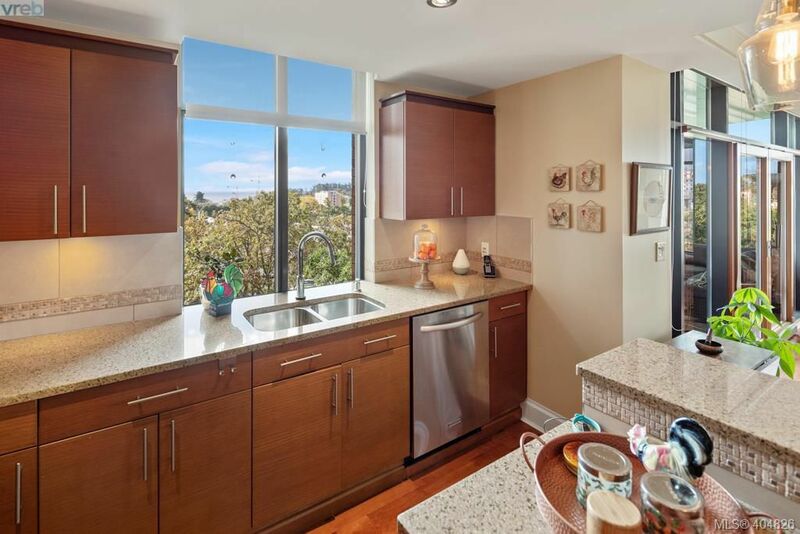 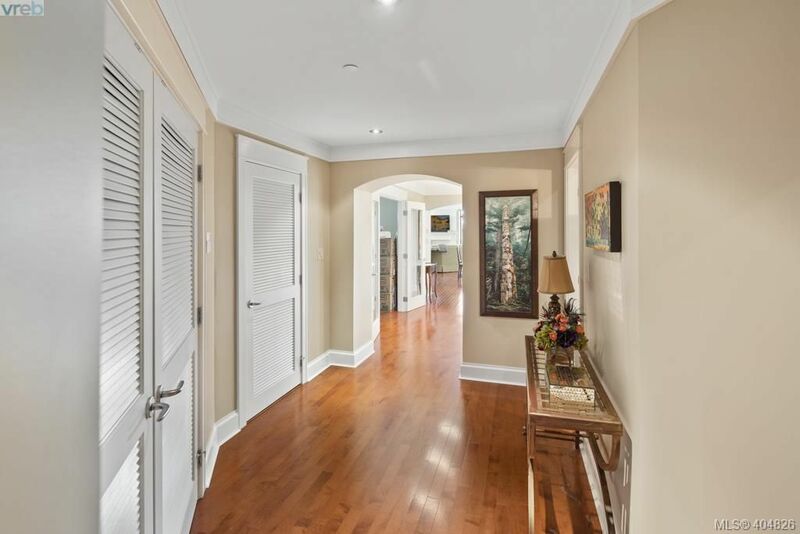 This south and west facing suite features 2,154 square feet of living space plus a huge balcony with southern exposure to sit back and enjoy the beautiful views and Gary Oak Trees. The building offers guest accommodations, a workshop, minutes to the downtown core, close to many shops, restaurants and Westbay marina.